UPF Sweden: This is the 2nd year that UPF is invited by Dialog-Institut, a Zurich based NGO to take part to the “Noah Celebration” commemorating the Day of Ashura, a traditional Muslim feast and celebration of humanity’s survival after the biblical flood. 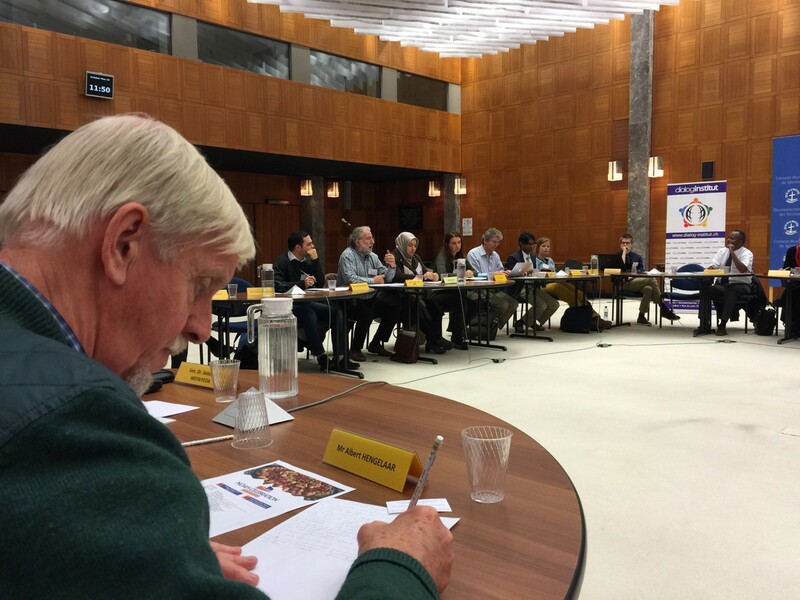 The roundtable discussion was about the perplexing yet perennial association of religion and violence and was probed this week in an event co-hosted by the World Council of Churches (WCC), the Journalists and Writers Foundation (JWF) and the Zurich-based Dialog-Institute. Evoking the story of Noah, Ahmet Muharren Athiğ, secretary general of JWF, noted that our globalized situation, with its many challenges and conflicts, “is also like a boat,” and humanity can only overcome differences and conflicts and achieve peace through simple practices, such as eating together, traveling together, staying together, and working together. Addressing the first question, participants discussed whether religion is a source of love or violence, how to deal with religious extremism, and how to address difficult yet authoritative texts in religious traditions. 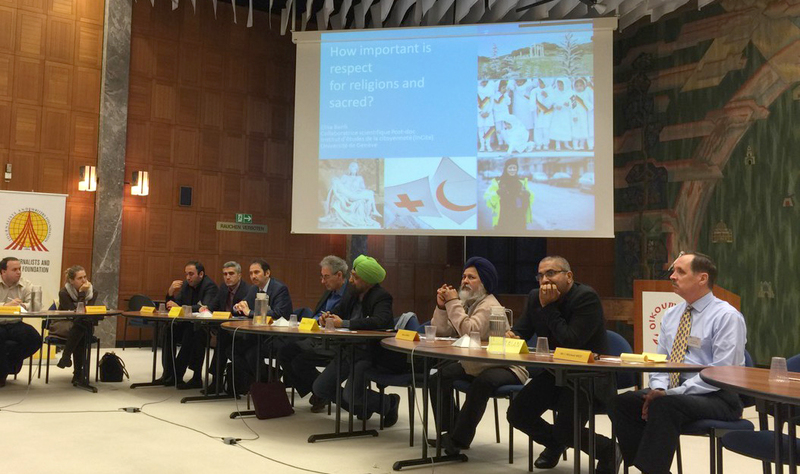 In a second session, focused on hostility or violence against religion, participant discussion centered on how to engender respect for the positive influence of religion and the sacred, whether religion is compatible with pluralism, and how to achieve the harmony and understanding captured in the ideal of Ashura. Michel Reymond, Universal Peace Federation (Vice-President UPF Switzerland) proposed that all believers should overcome their own faith scriptures by studying and comparing with other (world) scriptures, as a mean to avoid extremism, and reminded that UPF goal is to create an Interreligious Peace Council to reform the United Nations at the time of it’s 70 years anniversary. The meeting ended at mid-day with a large variety of oriental food and dessert prepared by Dialog-Institute, which was a nice conclusion for networking and sharing among participants.